Tonight is the night of the shooting stars or San Lorenzo, also the patron saint of Grosseto which is why I wrote this post last year. I alsoI wrote a long piece about this a few years ago which you can read here. Tonight with this terrible weather, I’m afraid we won’t see anything but you should never lose hope. I was supposed to be doing more sailing but I can’t complain after spending a few days sailing this week. 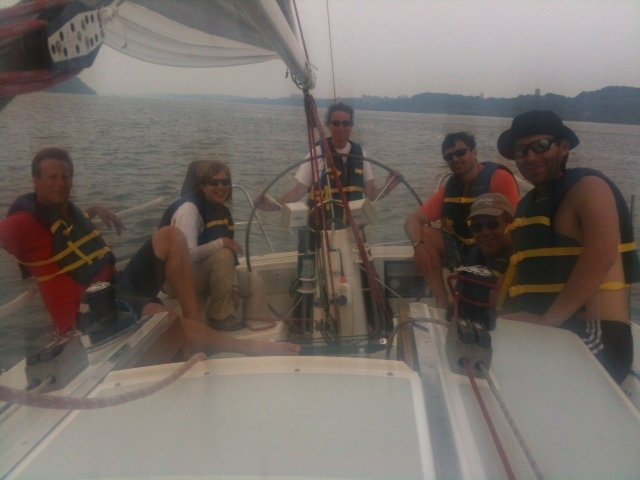 Sailing in New York is actually fun which I was surprised to learn. Check out the Manhattan Sailing Club. It is worth it if you like to sail and live in New York. The added perk is you can have a drink out in the water on the “Willi” Wall and see boats race and sometimes a nice sunset.